They say that aging is just a state of mind. In some cases it may be true but physical body aging is a different matter. There are many articles written about how to feel and look younger and ways to slow down the aging process; what vitamins to take, what food to eat, what wrinkle treatments are effective and the lifestyle changes that you may need to follow. Most of them are really helpful but do you, as a woman, really follow the tips that you have read? 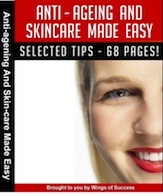 Are you making the changes that will help you slow down the skin aging process. Women’s skin is subject to extrinsic and intrinsic aging. 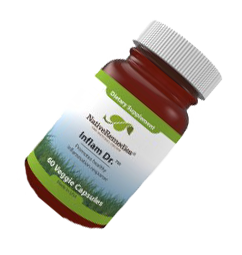 Intrinsic aging is the normal and unavoidable aging process. It usually starts when you reach your 20s. This involves decreasing in collagen production, cell production slows down and the skin begins to show subtle shine of aging like fine lines, dryness and thinness of the skin. Extrinsic aging is caused by external factors that you can control. Smoking and sun exposure are major factors in making women skin look older than their actual age but there are more habits that women tend to do. Some may seem harmless but over time it can contribute an older looking skin. Most women have a skin care and beauty regimen but there are times that they forget or instinctively do some things that will affect the skin. Let’s discuss the common mistakes women do. Not wearing sunglasses. Facial expressions commonly work out the maxillofacial muscles. After a lifetime of squinting due to poor eyesight or from the brightness of the sun will result in the muscles around the eyes to tighten and then cause wrinkles. Wearing protective sunglasses when it’s too bright outside can help protect the eyes from glare and too much sunlight plus it can maintain a neutral expression that will prevent fine lines from forming. Sleeping on your stomach. Sleeping in this position is bad for your back and can cause your facial skin to be mashed for hours. Younger skin bounces back naturally but with age, the skin will gradually lose its elasticity and the grooves can turn into permanent skin lines or mark. Not removing makeup when sleeping. Although some women tend to forget to remove make-up when they are too tired, leaving your make-up on a regular basis will have negative effects on your face. Acne breakouts will happen because it blocks the skin pores that secrete natural sebum that protects and lubricates the skin. Black heads, white heads, rashes and possible allergic reactions can happen. See our acne remedies here. Not eating enough fat. There are good fats and bad fats. Saturated fats are the bad ones for you. Polyunsaturated fats are the essential fats that help in maintaining a healthy skin. Foods rich in omega-3 fatty acids like salmon, tuna, shrimps, mackerel and squid are good sources. Vegetables such as spinach, cabbage, broccoli, flaxseeds, nuts and olives are also good sources of this essential fat. Naturally, there is a thin layer of fat between underneath the skin and this layer is responsible in giving the body shape and contour. If you restrict too much fat in your diet, in time it will leave the skin to wrinkle because body fat goes down as you age. Vigorous cleansing. To much of everything is a bad. Although facial cleansing is good but doing it vigorously can damage the top layer of the skin leaving blemishes. Using harsh soaps and too much hot water while you bathe will strip away the natural skin oils that will result to a dry skin. You can alternately use soap and body wash to minimize skin oil depletion. The yo-yo diet. Gaining and losing weight repeatedly will force your skin to stretch and shrink. This will eventually affect the elastic properties of the skin. It will cause too much stress on the skin and will not be able to bounce back to its natural state especially when the skin is beginning to lose its collagen. A sagging skin will definitely make you look older. Too much alcohol. Small amounts of alcohol have a number of benefits to our body but too much of it has serious effects. Too much alcohol causes dehydration, it also dilates the small blood vessels in the face that can possibly break which will result permanent fused skin color. Using too many wrinkle treatment products. Different products contain different ingredients that can have a negative reaction to other treatment products. It can cause bad skin reactions and may worsen the effects. If your using different products, consult your trusted dermatologist about it. Not getting enough sleep. Sleep is the great equalizer. Everyone needs it. Deep sleep allows the body to repair itself. It recharges the mind and body plus it lets skin cells do its work. Lack of sleep will result in higher levels of cortisol, a hormone that causes inflammation. Lack of sleep will also make you lose your concentration and lessen alertness. Plus it will make you look tired, pale and show the dark circles around your eyes making you look older. Spending too much time under the sun. There is no question about doing physical activities and its numerous benefits but doing anything under the sun for long periods will take its toll on your skin especially if you’re not wearing any sunscreen or a type of sun protection. Too much sun exposure will dry out your skin that will result to premature wrinkles and skin lines. If possible, apply moisturizers before you sleep and every money to maintain the skin’s natural oils doing this will also lower the risk of you developing skin cancer. Women can also age gracefully. All you have to do is to properly take care of your skin and change some harmful habits to stop premature skin aging. Alternately, an anti-wrinkle treatment can also remedy aging and wrinkles. CLICK THE IMAGE BELOW TO LEARN MORE OF THIS BRILLIANT NATURAL REMEDY! Enroll with our every week natural health e-newsletter and gain home solution and holistic health and wellbeing pdfs such as this one dispensed to your inbox each week totally free!. In case you invest in my unique handbook, “The Big Book of Home Remedies” you are going to additionally acquire immediate entry for our private members zone and that allows you to download any one of our 200 plus natural health condition pdfs completely free.